Without SOFTIMAGE|3D and mental ray, specifically, those phenomenal bullet time backgrounds just wouldn’t have been possible. 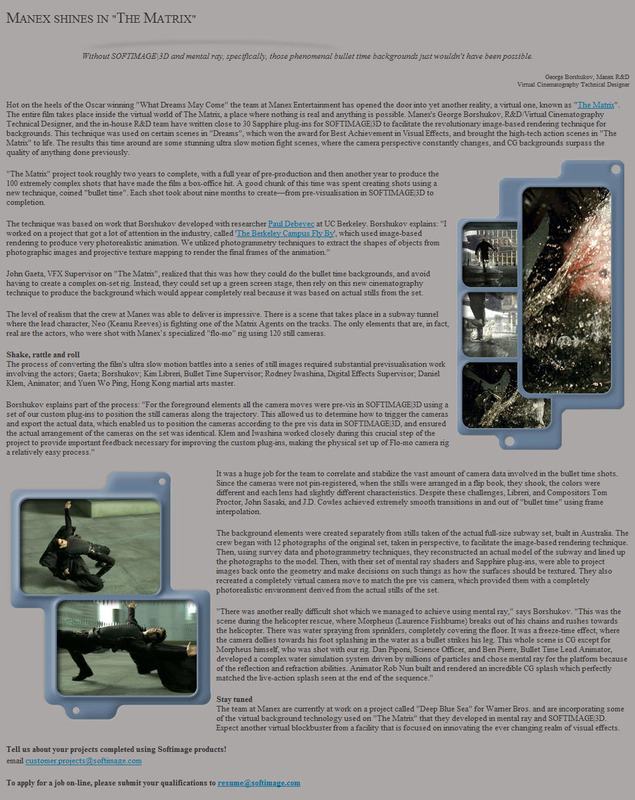 This entry was posted in Friday Flashback and tagged Flashback, history, Softimage by xsisupport. Bookmark the permalink.